The absolutely huge feat which is Maztek’s forthcoming LP is finally upon us. ‘Warpath’ was rumoured since the drum & bass veteran dropped his first single, a collaboration with Aeph, on his newly created 0101 imprint, which signified a brand new creative endeavour for an artist who’s spent years crafting himself into the genre’s history. 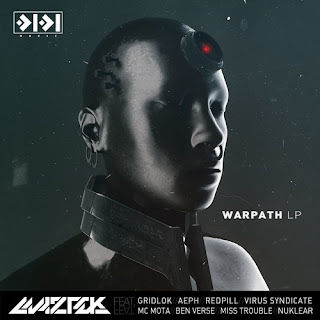 And it’ll be yet another defining output for one of neuro’s pioneers, who’s already paved his way with a number of releases and will continue to do so with the calibre of music showcased throughout ‘Warpath’s track listing.